Charlie Kimball is far from a household name yet, but the 27-year-old IndyCar driver from Camarillo, California is making his mark on and off the track. 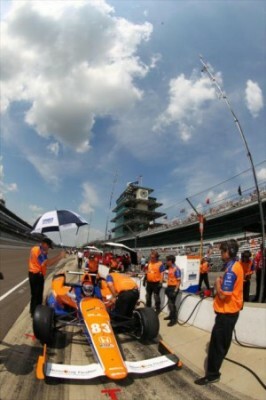 Kimball was snapped up by the powerhouse Chip Ganassi team, a scenario he couldn’t have dreamt of five years ago. While racing in the European feeder series Formula Renault 3.5 in 2007, the American was diagnosed with type 1 diabetes, a condition that put serious question marks over his future as a race car driver. Kimball decided to keep on fighting to realise his dreams. And he did. Fueled by his ambition and motivation to overcome his disease, Kimball carried on. But that doesn’t mean it was an easy path. In his fight against diabetes and his quest to raise sponsorship to find a seat in IndyCar, Kimball found the best possible partner he could have wished for. He established a bond with Novo Nordisk, a pharmaceutical company that manufactures of flexpens and other diabetic products. 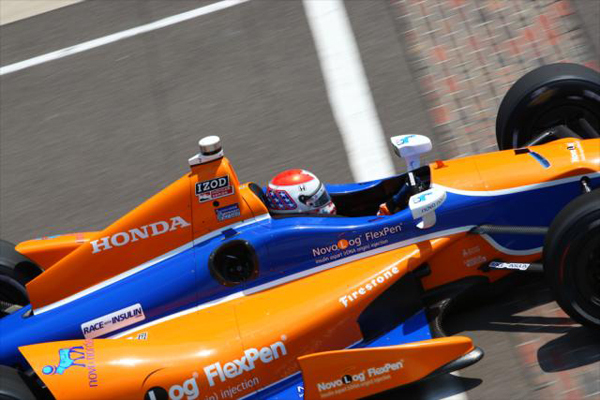 “When I started my relationship with Novo Nordisk, team boss Chip Ganassi gave me some great advice on how to build that relationship and integrate, so they couldn’t just put their name on someone else’s car.Their identity is my identity and vice versa. We work together very closely. People ask me when I started with Novo Nordisk and my answer is: from the day I was diagnosed. I’ve been using their flexpens all along. I was very lucky being diagnosed in England, where flexpens are used a lot more than in America, so I started using that device right away. It wasn’t before six or eight months later before they knew who I was thanks to my doctor sending them an e-mail. Racing with diabetes is a double-edged sword. On one hand Kimball and his team want to get the word out about his conditions, but on the other hand he wants to be treated and respected as a ‘normal’ driver. “But that’s down to me. If I continue to produce results on the race track, I will be known as a driver on the race track, who happens to have diabetes. Not as a person with diabetes who drives race cars. And in the diabetes community I will still be known as a driver with Type 1, who has lived his dream and races competitively at the highest level in North America. That’s an inspiration to them. It’s important for me to maintain both personalities, but keep them in balance. When I work at the track I’m a race car driver and when I work in the diabetes community, the disease comes to the fore. That doesn’t change the fact that Kimball’s disease requires a very specific and rigourous approach in terms of training and preparation. “Preparation is even more critical than otherwise. Nutrition, hydration, all the work I do before I get in the race car really matters. It was very hot at Indy and any preparation I did during the race weekend was very small compared to the work I’ve done training last winter. At the beginning of the season I worked with my healthcare team to get some data and create a regimen. When I get up in the morning on a race day, I test my blood sugar and inject my basal insulin. I then eat breakfast, make sure I’m hydrating. Two hours before the race I have lunch. My pre-race meal is very consistent. I know how my body reacts to different types of food, so I eat the same things in the same amounts, the same amount of hours before the race. I then get dressed, roll out, test my blood sugar again and make some last minute corrections if needed, like drinking orange juice, and then I get in the race car. In an otherwise difficult season, Kimball has nevertheless made significant progress. 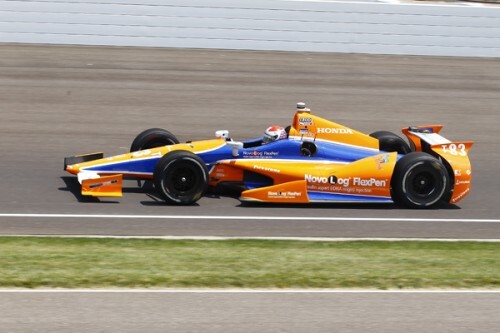 He took a career-best second place in July’s IndyCar race in Toronto and is set to continue with Novo Nordisk and Chip Ganassi for another season.